Home Editorial Emperor Delirious: Somali Prime Minister’s Wind of Lies. Emperor Delirious: Somali Prime Minister’s Wind of Lies. 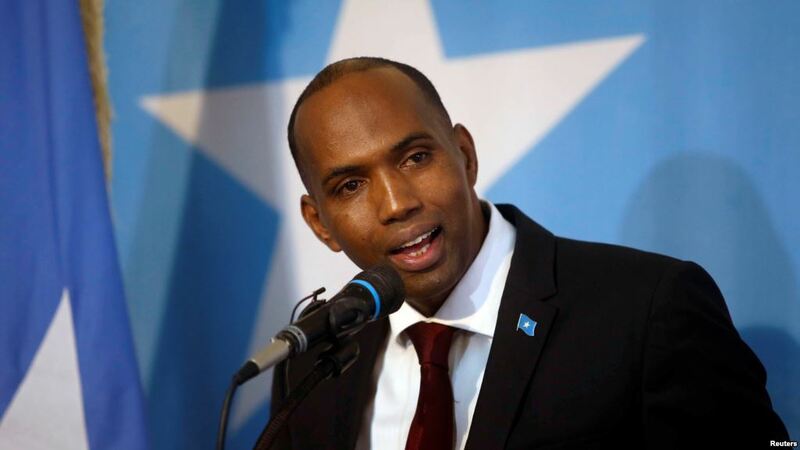 Somali Prime Minister Hassan Ali Khaire took an unusual step of writing what can only be described as a fantasy short story on the Kenyan Daily Nation paper. It is not particularly good but shows a level of delirium not generally attributed to younger people. 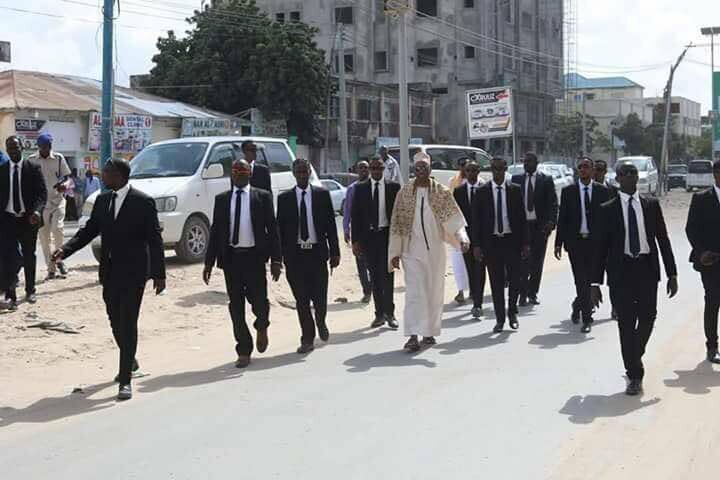 Mr Khaire’s opens with a whopper of a lie “The recent amnesty has seen leaders of many terrorist groups defect to the government and help in nation building” is not only misleading but the only known high value personality to defect Alshabaab is Mukhtar Robow. 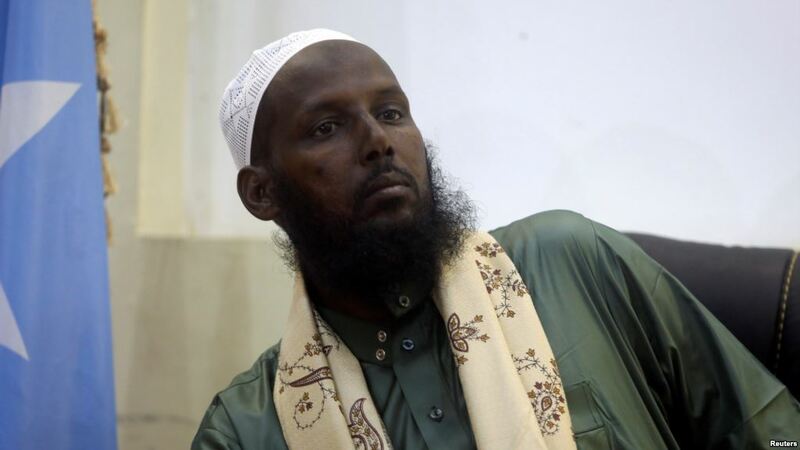 At the time of his surrender, he has been separated from Alshabaab for over five years. Mr Robow had a falling out with Alshabab that saw his influence diminish and accepted the amnesty to ensure his safety. Mr Robow does not have a role in Somalia’s Federal Government. There is however an interesting high-ranking official in Khaire’s government, Mr Ahmed Fahad Dahir, the deputy director of Somali Intelligence Agency. 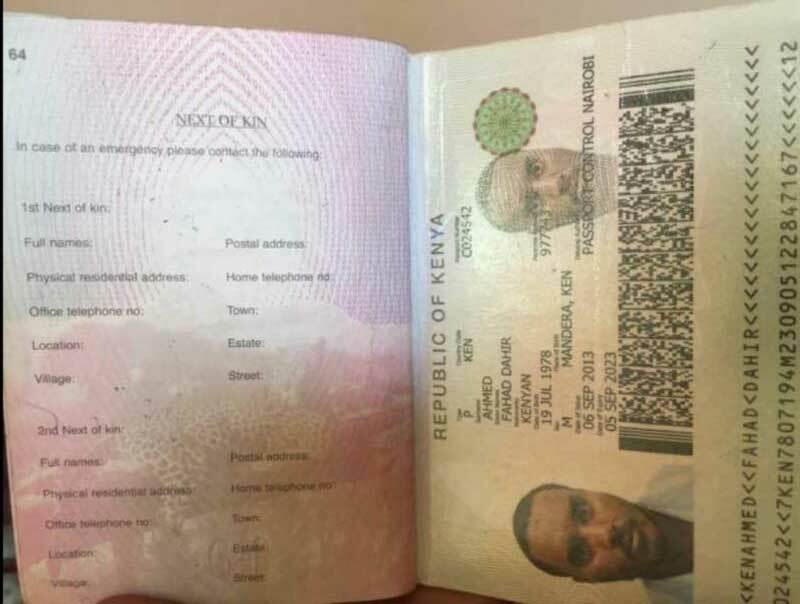 Mr Dahir is known to have ties with extremist networks and is under investigation by Kenyan authorities on how he come to posses multiple Kenyan passports. It is unclear if Mr Khaire is referring to Mr Fahad Dahir as a rehabilitated terrorist. The Daily Nation was one of the papers that wrote about this mystery man. It has been widely reported that Mr Khaire paid Alshabaab 1.8 million US Dollars to buy a temporary ceasefire for Ramadan and immediately claimed that his government has delivered on security. Mr Khaire writing which lacks discernible direction and clarity has three sections titled Peace Deal, Security and Terrorism. He goes on to describe events related to cessation of hostilities between Ethiopia, Eritrea and Djibouti. Somalia’s fall out with Eritrea was based solely its wars with Djibouti and Ethiopia and becoming an pariah state of the day. The security and terrorism sections have canned paragraphs about blowing winds, quests and (dragons?) and what about terrorism? there is a single sentence that eludes to terrorists being on the retreat. Au contraire, Alshabaab is gaining ground in Somalia especially in Mogadishu and its surrounding areas. 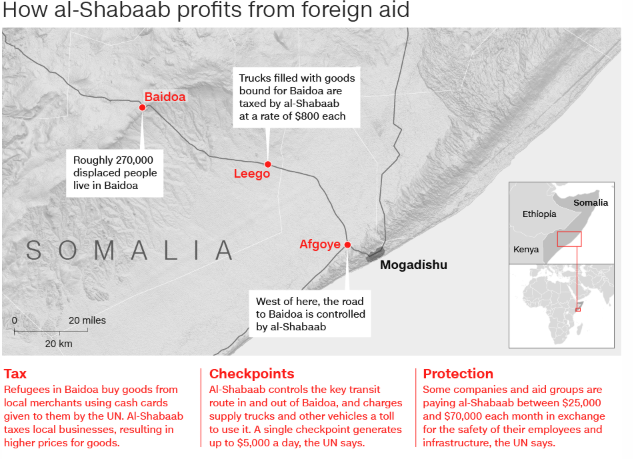 According to CNN, Washington Post and other news outlets, Alshabaab is running a more effective, albeit shadow government in of all places Mogadishu that includes a court system and levying tax on businesses. From January 1st 2017 to date, there has been 70 attacks and 1,044 fatalities in Mogadishu by Alshabaab. Keyword is Mogadishu, the toll is much higher for the rest of Somalia. As recently as July 7th 2018, using authentic government issued identifications, uniforms and vehicles Alshabaab attacked the Interior Ministry in Mogadishu. 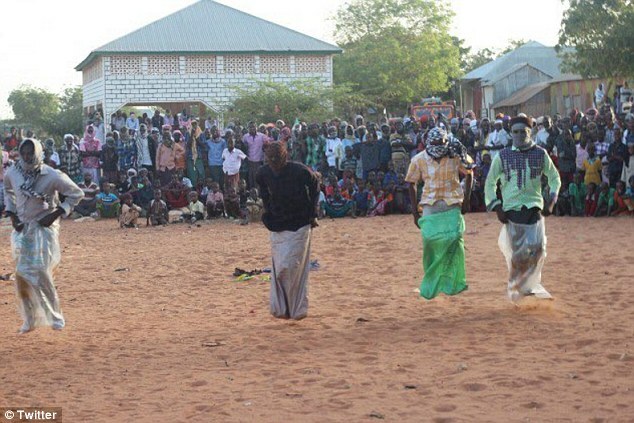 During Eid, Alshabaab has been so bold as to hold festivities in towns across Somalia, including one purported to be the Prime Ministers own backyard. This is hardly a group on its heals. Another important development the Prime Minister forgot to mention in his rosy assessment of the failed state he has been running is the complete implosion of the federal union after all Somali Regional leaders have suspended ties with the Federal Government. May be this explains why Mr Khaire chose to submit his op-ed to a Kenyan newsletter. We will never know.